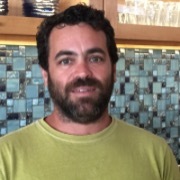 Guillaume Pailloux, a resident of Key West for the past 20 years, where he was the Executive Chef at the world famous Blue Heaven. Guillaume started Pasta Pailloux last year, featuring his hand-crafted artisan pasta. Guillaume’s old world artistry mixed with modern innovations is just the right blend for home chefs who are eager to learn.